In mandate letters to Transport Minister Marc Garneau and Hunter Tootoo, Minister of Fisheries, Oceans and the Canadian Coast Guard made public Friday, Trudeau says he expects the ministers to formalize the moratorium as a top priority. Environmentalists say the ban ends Enbridge’s Northern Gateway pipeline proposal, which they and some First Nations view as harmful. A number of coastal First Nations have already declared a ban on oil tankers on the north coast and have issued a statement supporting the Liberal government’s commitment to do the same. Without tankers, crude oil extracted from the Alberta oil sands has no way to reach markets around the Pacific Rim. As a result no pipelines or oil trains will be needed to move the tar sands oil to the northern B.C. coast. The Northern Gateway pipeline proposal would ship oil from the Alberta tar sands through British Columbia’s Great Bear Rainforest, putting salmon rivers, coastal rainforests, and sensitive marine waters at risk. “The unity of northern communities in saying no to Enbridge’s Northern Gateway proposal has been astounding,” said Brenda Gouglas, a Councillor for the northern B.C. District of Fort St. James and member of the Fort St. James Sustainability Group. “Northerners aren’t willing to accept the risks of these types of oil pipeline and tanker projects. The next step is for Minister Garneau to enshrine the tanker ban in law so the coast and the people that depend on it will be protected in perpetuity,” Gouglas said. But a statement from the pipeline consortium says the plan is still alive. The consortium says the C$7.9 billion Northern Gateway pipeline could safely carry 525,000 barrels a day of heavy oil sands crude known as bitumen from Alberta to a port at the city of Kitimat on the narrow Douglas Channel , which leads to the open waters of the stormy Hecate Strait. A parallel pipeline also would be built to bring 193,000 bpd of bitumen-thinning diluent from the coast to the Alberta oil sands. “Northern Gateway and the project proponents, including aboriginal equity partners, remain committed to this essential Canadian infrastructure,” the consortium said in a statement. “We are confident the government of Canada will be embarking on the required consultation with First Nations and Metis in the region, given the potential economic impact a crude oil tanker ban would have on those communities and Western Canada as a whole,” the consortium said. Led by Calgary-based Enbridge Inc., the project was approved last year by then Prime Minister Stephen Harper’s Conservative government after it was okayed by the National Energy Board. 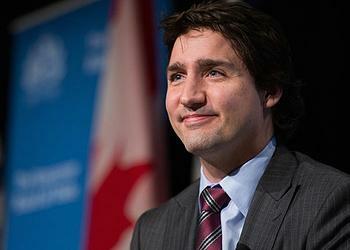 But the Liberals, who now form the government, have a history of opposition to the project. “While those previous bills did not pass, the necessary legal avenues clearly exist to swiftly legislate an oil tanker ban when Parliament reopens, bringing binding legal protection to this area,” said Smith. Marine weather conditions in the Hecate Strait are severe, particularly in winter. 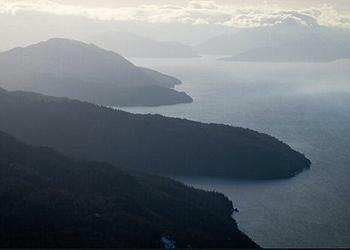 Environment Canada ranks the Hecate Strait as the fourth most dangerous body of water in the world. Waves in South Hecate Strait have reached 26 metres, the height of a seven-story building. To reach the pipeline terminus at Kitimat, tankers would have to navigate narrow passages where several major vessels have foundered, including the B.C. ferry Queen of the North. Even so, Douglas Channel is a busy shipping artery with an methanol import terminal and an aluminum smelter at Kitimat. 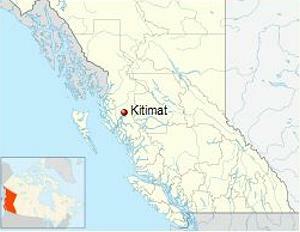 Expansion plans for the Port of Kitimat propose at least 11 new facilities, including the terminus of the Northern Gateway pipeline. Going even farther, the BC-based nonprofit Wilderness Committee is among the 100 groups that signed an open letter dated November 12 asking the Prime Minister and Minister of Environment and Climate Change to immediately stop all oil pipeline reviews underway, including Kinder Morgan’s Trans Mountain and TransCanada’s Energy East proposals, and address the weaknesses in the environmental assessment process. These groups say Canada’s pipeline review process limits public participation, fails to meaningfully consult First Nations governments, and allows proponents to withhold important information. They warn that the National Energy Board’s review process fails to consider greenhouse gas emissions or the cumulative impacts of large energy infrastructure projects on the climate.